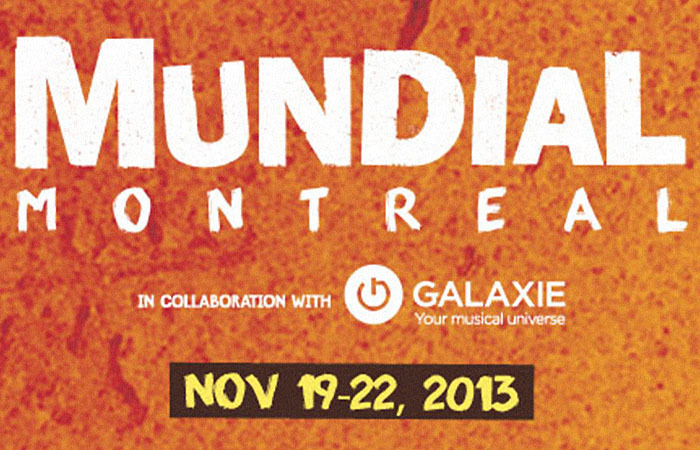 Montreal, November 2013 – Presented in collaboration with GALAXIE Your musical universe, Mundial Montreal is delighted to announce that North America’s premier world music conference will host over 200 industry professionals this year! 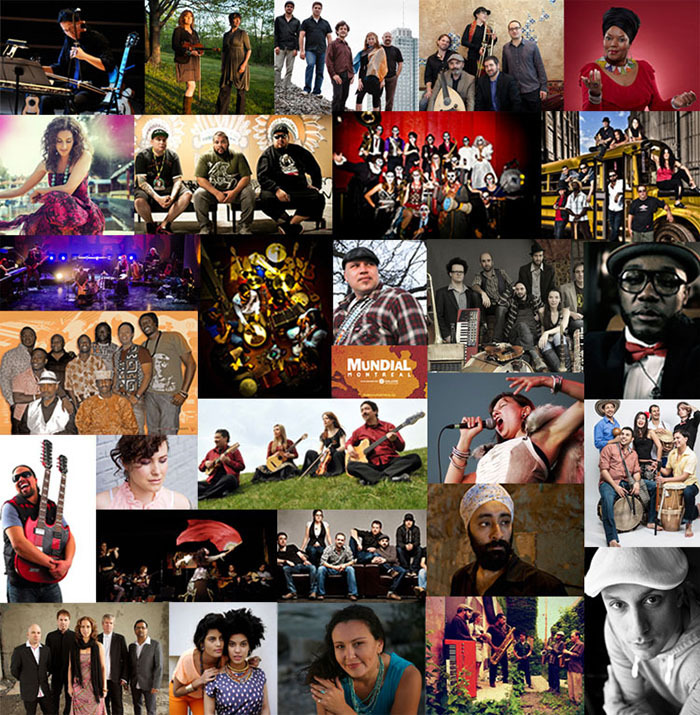 This means that these members of the global world music fraternity will be in Montreal between November 19-22 for the industry networking events and 30+ showcases of some of the hottest talent from Canada and beyond. As a result of this popularity, Mundial Montreal is also proud to announce that the Emerald passes –the highest level of passes- have sold out, leaving just a few Ruby passes, panel and single show tickets available to public and industry representatives alike. In only 3 years, Mundial Montreal has managed to build an incredibly diverse network of professionals in the world music community. In this short period of time, Mundial has brought together the Canadian world music presenter community, from summer festivals to performing arts centers from across Canada. Building on that solid foundation, it has become a much-needed North American platform for the global world music industry, providing the perfect opportunity for artists, industry professionals and journalists to connect and build stronger professional networks. For Mundial #3, we have assembled an incredibly diverse range of industry of programmers, bookers, agents, managers, journalists and more. Some delegates who we are looking forward to hosting include Paula Henderson (WOMAD, UK), Erika Elliott (Central Park SummerStage, USA), Jean Hubert (Babel Med Music, France), Carlos Seixas (Festival Musicás do Mundo, Portugal), Karl-Heinz Fischer (Kulturreferat, Germany), Dan DeWayne (California WorldFest, USA), and many more! • Staging Cultural Identity will explore the intersection between cultural identity and marketing for artists. Speakers of note include world-renowned Turkish world beat DJ Mercan Dede, Radio-Canada’s Sophie Laurent, Alan Greyeyes from Aboriginal Music Week and Montreal’s Jérome Pruneau of Diversité Artistique Montréal, moderated by Alain Brunet of La Presse. • A Fireside Chat with Ben Mandelson (WOMEX) and Bill Bragin (globalFEST, Lincoln Center) will bring together two veterans of the world music scene as Bill interviews Ben in what is sure to be an entertaining and enlightening hour. • Not Just An Opinion will unpack the controversial Labour Market Opinion changes and profound effects on the industry in Canada. This year’s festival brings a plethora of sounds to audiences in Montreal. Our spotlight on Aboriginal artists with our Aboriginal Sounds series is sure to excite and delight crowds of all categories. The Opening Showcase at Sala Rossa (4848 St Laurent) on Tuesday November 19th will feature Saskatchewan rapper Eekwol, Innu Reggae singer Shauit and the powerful voice of Samian. Thursday November 21st will feature two major showcases from Leela Gilday and Tanya Tagaq, who will bring their unique sounds to the ‘Women of the World’ night at l’Astral (305 Ste Catherine W). Later that evening, Polaris Music Award 2013 nominees A Tribe Called Red will shake the soundsystem at SAT (1201 St-Laurent). And once again this year, Galaxie your musical universe will present one lucky Mundial artist with a Galaxie Rising Stars Award, a cash prize of $3000. Jurors will be Paula Henderson from WOMAD, Jose Ortega of Lula Music & Arts Center and Pierre-Jean Lavigne from Galaxie. The first of its kind in North America, Mundial Montréal (November 19-22, 2013) is a world music conference & festival that celebrates our rich cultural diversity through a variety of showcases while creating an unprecedented network of world music presenters and professionals with a common goal: to develop professional opportunities!